NOTE: All coaches, players and guardians will be required to sign this agreement to adhere to the club’s code of conduct. Accept the decisions of the officials. Applaud the efforts of your teammates AND your opponents. Children have more need for the good example than criticism. 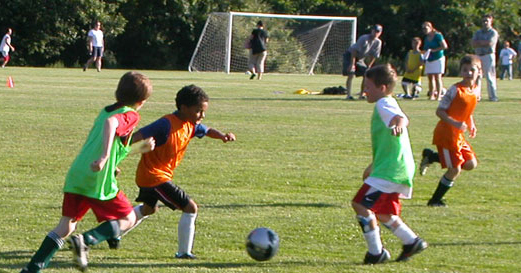 Make athletic participation for your child, and others, a positive learning experience. Attempt to relieve the pressure of competition, not increase it. Be courteous to the officials and coaches. The coaches are giving their time, energy, and money. Applaud good play of players on either team. Do not question the judgment or honesty of any official. Accept the results of each game and teach your child to learn good sportsmanship. Youth soccer coaches and assistant coaches, the Santa Rosa Black Oaks Youth Soccer Club are holding its first ever coaching diploma course March 16-18 in Santa Rosa. Normally these coaching courses are held outside the area so local coaches can save on travel costs.